Complications of Percutaneous Endoscopic Lumbar Discectomy in India. A percutaneous discectomy is a surgical procedure in which the central portion of an int ervertebral disc is accessed and removed through a cannula. 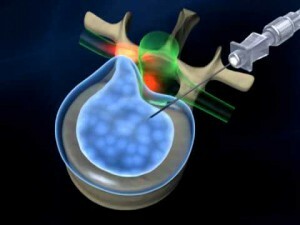 The percutaneous surgical procedure is for safe and sparing excision of herniated disc material. Even sequestered disc material – regardless of its size and level – that slipped into the spinal channel can be removed with this minimal invasive method. Percutaneous Endoscopic Lumbar Discectomy (PELD) is a unique approach which is quickly getting popular amongst patients and surgeons in the treatment of nonsequestrated disc herniation (disc prolapse) as it reduces the post operative hospitalization and recovery time. An advanced minimal invasive technique, Percutaneous endoscopic lumbar discectomy (PELD) is performed for the decompression of the lumbar disc space and removal of nucleus pulposus via a posterolateral approach. 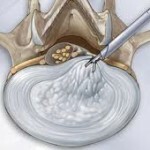 In addition to decompression surgery, the technique has been found effective in management of spinal tumors and structural deformities. This surgery is recommended in patients who fail to respond effectively to conservative treatment with pain killers like NSAIDs (Non Steroidal Anti inflammatory Drugs) or when the pain threshold is low. In this form of surgery, an instrument called endoscope is used and the whole surgery is done under local anesthesia with the patient fully awake during surgery. 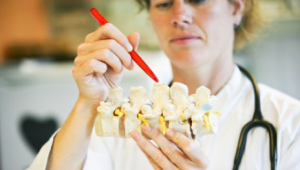 Manual procedure also known as automated percutaneous discectomy involves insertion of a long spinal needle from side of back, directly into the disc, by-passing other bone and ligaments. Through this needle, guide wir e is passed and after taking 5mm incision, dilator and working cannula are passed, through which endoscope is inserted. Camera and monitor is attached to endoscope and prolapsed part of disc is removed under vision. The laser surgery is referred to as percutaneous laser discectomy (PLD), which uses an external imager called the fluoroscope to direct the probe. The probe delivers laser energy which vaporizes a part of the inter-vertebral disc material and decompresses the nerve root. 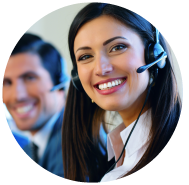 The most frequently used laser for treatment is Holmium yttrium- aluminum-garnet laser. Patient can be discharged in 24 hrs. No prolonged bed rest required after surgery. Even prolapsed, migrated, extra-foraminal, recurrent discs can be removed. Very good technique for old and medically compromised patients.